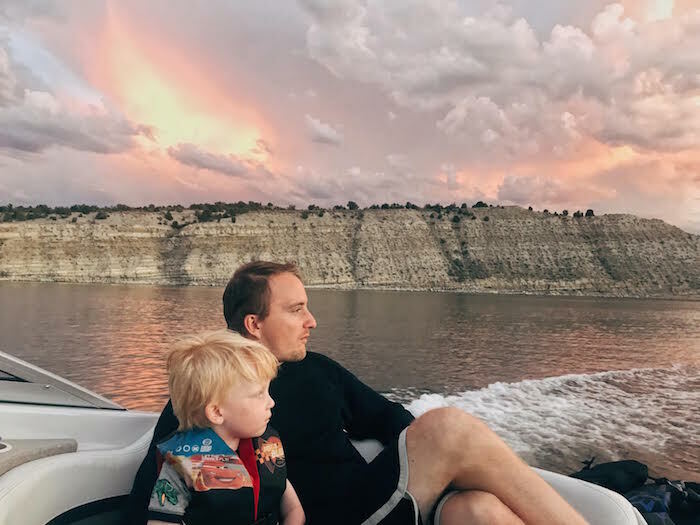 Austin & I decided to take the boys on a last minute road trip up to Utah & meet up with his family at a lake they were boating on for the weekend & it was so good. we left bright & early thursday morning & made it just in time for an evening ride on the boat & a campfire dinner. 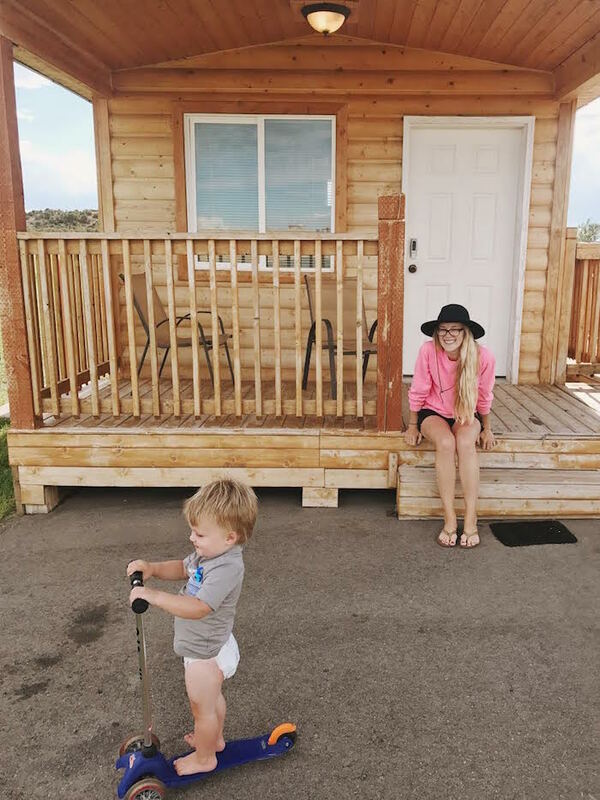 We stayed in the cutest little cabins on the lake & Cedar LOVED it, like straight up love. 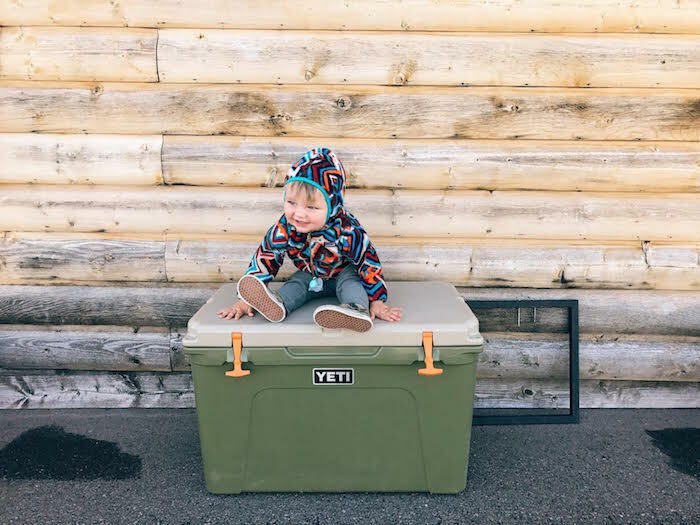 He couldn't get over that we were staying in a cabin, that he got to sleep in his sleeping bag & that he was with his grandma & grandpa. We spent all day friday on the boat. 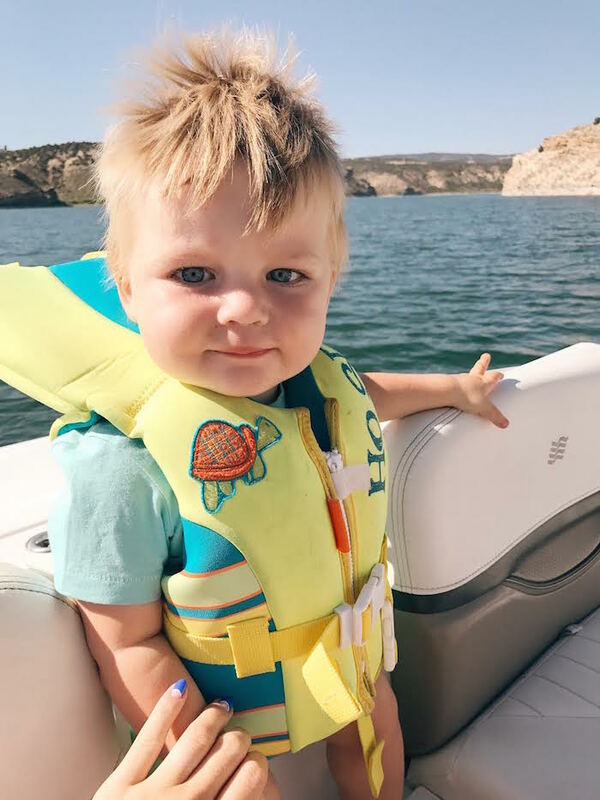 Milo sort of hated the boat when it wasn't moving, mostly because i was constantly pulling him off of stuff & holding his life vest handle because i was terrified of him falling into the water because he is a crazy baby & is always climbing on top of everything & he legitimately loves jump into water sooo.... my fear is totally justified :). 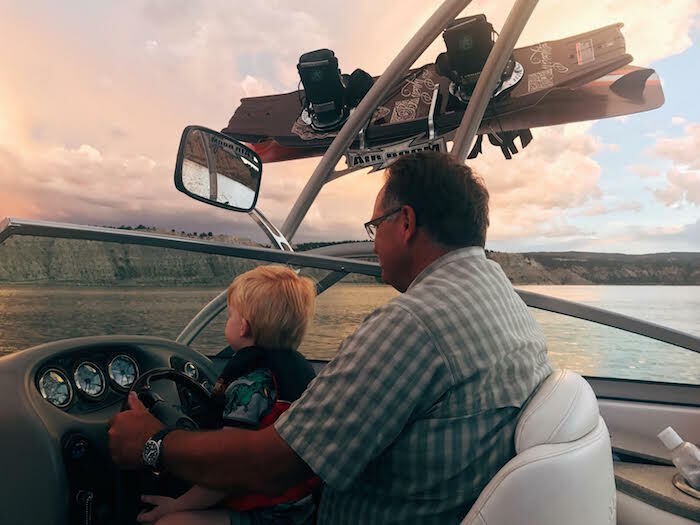 once the boat was moving he was totally good though & would either help grandpa drive the boat or instantly fall asleep on me which was adorable. I thought it was be really fun to take Milo tubing but i felt like when i leaned forward to hold onto the handle i was squishing him too much, so we decided it would work to hold onto the back handle & we were sooo wrong. Within the first 5 seconds of the boat moving the tube flipped back & milo & i were instantly thrown into the freezing cold lake. I felt pretty bad for Milo babe, he was in straight shock from the water, it as pretty sad! 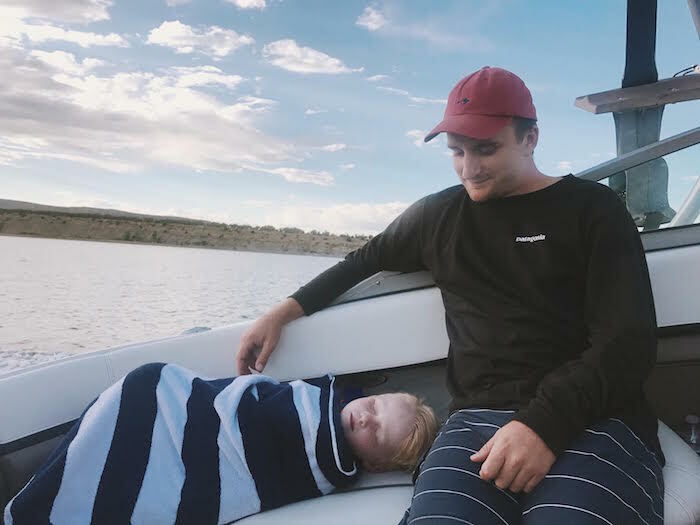 But we got back on the raft & i held onto the front & once it started moving he totally loved it & was laughing & almost fell asleep on it, haha. I still felt bad though! 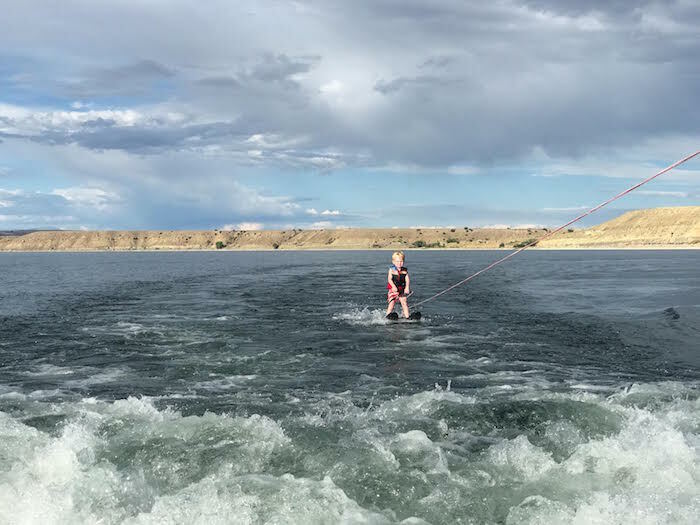 Maybe it was because Cedars cousins were there & it gave him a little more courage but i was so proud of him because he wanted to try water skiing & if you know Cedar then you know how unlike him that is. 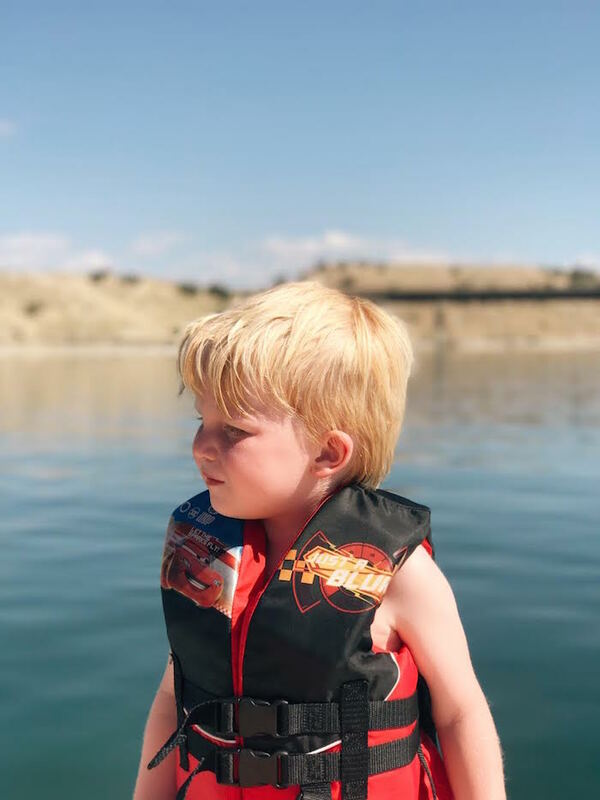 I wrote an entire blog post about how cautious he is & here he was wanting & asking for us to let him try water skiing. I was so proud that he even wanted to try it! 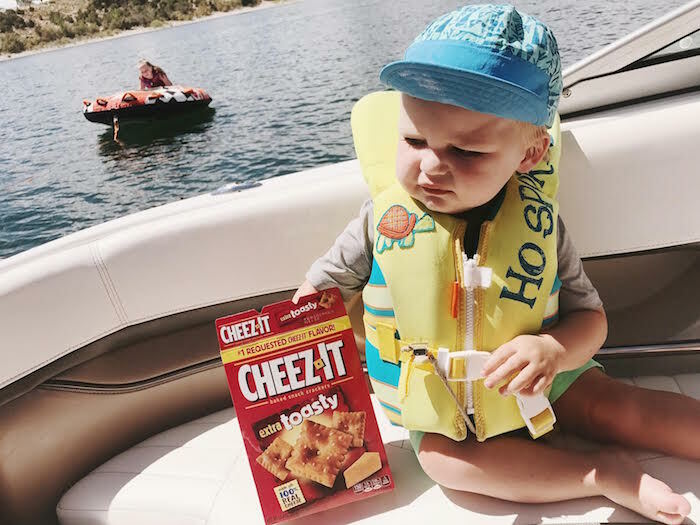 before we let him we made him show us that he knew how to float in his life vest. it sounds funny, but the kid has never really worn one & we were worried that he wouldn't trust it if he fell & that he would freak out, so we had him show us that he could put his arms out of the water with Austin's sister floating next to him to prove that he would be ok & he totally hated it. He was sobbing when we asked him to float for us but he still wanted to water ski afterwards so we let him! 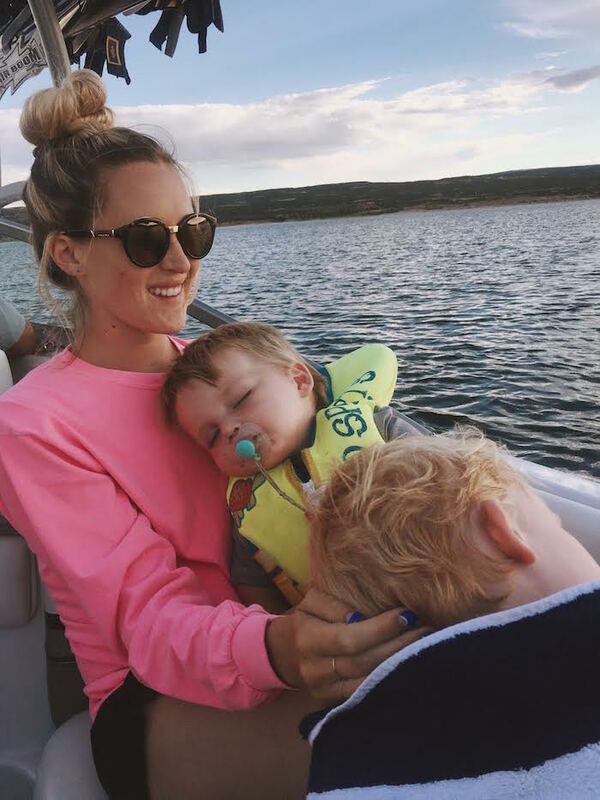 Austin sister, Brittney, was in the water the entire time & held him while he waited for the boat to move & then she helped him stand up a little bit & he stood on his very first try! it was so exciting & he never let go or fell! we did a full little circle & dropped him back off right next to Brittney & he was SO excited, i loved watching how much he loved it & how he faced his fears. it probably helped that i promise him so dinosaurs for doing it! He also stayed on the tube for a solid 2 hours one day, he was having so much fun. Britney lives in Massachusetts & our kids don't get together too often so it was really fun to see Cedar playing with her kids & Milo following them around trying to be a big kid too. We spent the majority of the time on the boat but if we weren't there, we were fishing, the kids chasing bunnies, scootering around the site & playing games. It was the perfect little weekend escape.